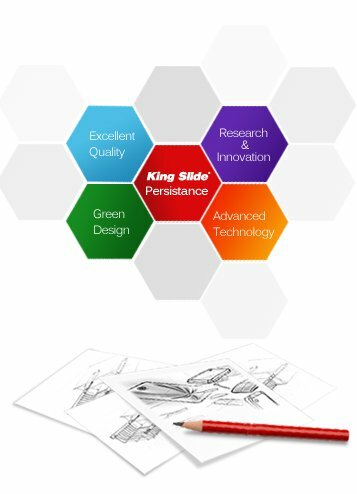 King Slide does not only continue the advancement of manufacturing technology and gain years of experiences in die and mold design, but also put in great effort on innovation development. We have professional R&D team providing outstanding design which is more friendly, safe and convenient for customers. All along King Slide always fulfills any customized requirement and provides solution with its outstanding development and innovation design. There are close to one thousand patents granted worldwide. In future, King Slide will keep improving and challenging itself to creative more impressive products.